Tanya Erzen, "God in Captivity: The Rise of Faith-Based Prison Ministries in the Age of Mass Incarceration"
It is by now well known that the United States' incarceration rate is the highest in the world. What is not broadly understood is how cash-strapped and overcrowded state and federal prisons are increasingly relying on religious organizations to provide educational and mental health services and to help maintain order. And these religious organizations are overwhelmingly run by nondenominational Protestant Christians who see prisoners as captive audiences. Some twenty thousand of these Evangelical Christian volunteers now run educational programs in over three hundred US prisons, jails, and detention centers. Prison seminary programs are flourishing in states as diverse as Texas and Tennessee, California and Illinois, and almost half of the federal prisons operate or are developing faith-based residential programs. Tanya Erzen gained inside access to many of these programs, spending time with prisoners, wardens, and members of faith-based ministries in six states, at both male and female penitentiaries, to better understand both the nature of these ministries and their effects. What she discovered raises questions about how these ministries and the people who live in prison grapple with the meaning of punishment and redemption, as well as what legal and ethical issues emerge when conservative Christians are the main and sometimes only outside forces in a prison system that no longer offers even the pretense of rehabilitation. 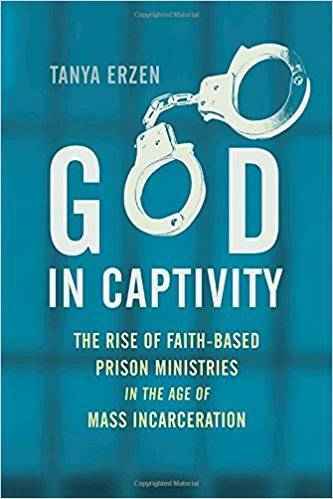 Yet Erzen also shows how prison ministries make undeniably positive impacts on the lives of many prisoners: men and women who have no hope of ever leaving prison can achieve personal growth, a sense of community, and a degree of liberation within the confines of their cells. 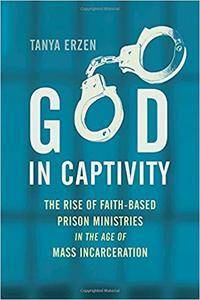 With both empathy and a critical eye, God in Captivity grapples with the questions of how faith-based programs serve the punitive regime of the prison, becoming a method of control behind bars even as prisoners use them as a lifeline for self-transformation and dignity.